This webinar has already taken place. You can view it on-demand by clicking here. – typically requires expensive and cumbersome spectrum analysis equipment, the logging of interference raw data, and/or extensive post-processing. 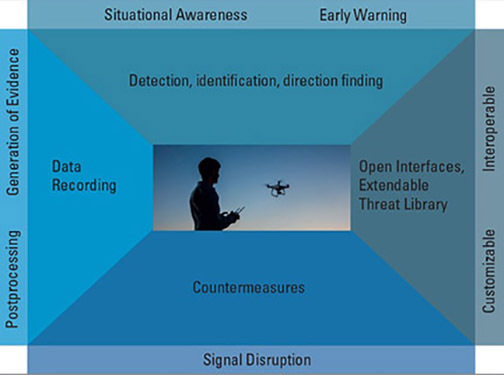 This has changed, however, with the development of the Interference Tool Kit (ITK), one of the most advanced and innovative features available on the NovAtel® OEM7® GNSS receiver platform designed to tackle today’s crowded frequency spectrums where the potential for interference is high. In this FREE web seminar sponsored by NovAtel Inc. our panel of experts addressed the current state of GNSS interference. Our panel of experts for this exciting event are Sandy Kennedy, Chief Engineer of Receiver Cards, NovAtel Inc., Paul Alves, Principal Research Engineer, Applied Research Team, NovAtel Inc., and John Schleppe, Engineering Fellow and Manager of Research, NovAtel Inc.
Sandy Kennedy, Chief Engineer of Receiver Cards, NovAtel Inc.
After receiving an M.Sc. from the Department of Geomatics Engineering at the University of Calgary in 2002, Sandy worked briefly in inertial surveying for pipeline inspection before realizing she missed GPS. She joined NovAtel’s research group in 2004, just in time to follow the SPAN GNSS/INS technology into productization which remained her focus until 2013, when she moved into her current role as chief engineer of receiver cards. Her primary motivation is bringing new positioning and navigation capabilities to the marketplace for real-world applications. Paul Alves, Principal ResearchEngineer, Applied Research Team, NovAtel Inc.
Paul received a Ph.D. from the Department of Geomatics Engineering at the University of Calgary in 2006. He has worked for Leica Geosystems, Hemisphere GNSS, and NovAtel focusing on positioning algorithms research and development. He is currently a principal research engineer in the Applied Research Team at NovAtel. John has been active for over 36 years in the navigation and positioning industry with 9 years marine and geodetic field operations with McElhanney Geosurveys along with 27 years experience in research and development with Pulsearch Navigation, Eagle Navigation, the PLAN Group at the University of Calgary as well as NovAtel. His current research interests are interference and jamming geolocation and is the co-inventor of two US Patents related to jammer geolocation. He holds a M.Eng (Thesis Based) in Geomatics Engineering from the University of Calgary, 1996 and a BSc in Surveying Engineering from the University of Calgary, 1981. James is the CEO of ISR Ideas, an intelligence, unmanned aerial systems and cyber warfare consulting firm. He is the founder and former Executive Director of the Alliance for System Safety of UAS through Research Excellence (ASSURE), the FAA’s center of excellence for unmanned research. He is a 30-year U.S. Air Force veteran with combat experience in four wars and was the Air Force’s senior career intelligence officer at his transition from active service in March 2013. He is a leading expert on UAS having helped designed the U.S. Air Force’s remote split operations system for UAS control and the Distributed Common Ground Station for UAS intelligence analysis. Gen Poss also has extensive experience in cyber operations from his assignments with the National Security Agency and as the Air Force lead for stand up of U.S. Cyber Command.